As a technology company focused on the betting industry, UltraPlay, founded in 2010, is heavily involved in the esports space. The company offers odds on Overwatch, Heroes of the Storm, PUBG, SMITE and more, alongside the usual suspects of League, Dota 2 and CS:GO. The company has been involved in ESI events for some time, and this year they will have an exhibition spot too. Mario Ovcharov, CEO of UltraPlay, will be speaking on a panel at ESI London focused on the data challenges when it comes to offering odds on esports titles. He spoke with us ahead of the conference (18-20th September) about UltraPlay’s involvement and the evolution of esports betting. Esports Insider: How long have you been involved in esports and what made you decide to get more involved? Mario Ovcharov: I have been involved in esports since I can remember. Playing competitive games and trying new titles is not only one of my hobbies but also a passion, and it subsequently became part of my work. I am a big CS:GO fan and it was kind of the ultimate personal achievement when I was the first person to live trade CS:GO matches back in 2014! Since then, UltraPlay’s team have developed a lot from the business side of esports, not only from the betting perspective but also developing our own Academy and CS:GO team. We have also been a key organiser of the Balkan Pro League which not only gathers the best teams in the region and gives them an opportunity to compete, but also helps players grow and gain experience on a global scale. ESI: Tell us more about UltraPlay and what it contributes to esports. Mario: Due to our extensive involvement in esports in the past years, we have managed to gather valuable insights in trading and odds provision. We also established the widest esports betting coverage with over 25 games, including the “Golden Trio” of CS:GO, Dota 2 and League of Legends, as well as titles that we started providing first such as FIFA Interactive World Cup, NBA 2K, Fortnite and games that are targeting specific markets such as Gwent, King of Glory and many others. We’ve evolved our live betting model onto the next level by adding new markets making us, again, the first with such offerings for the end-users. ESI: Which session are you involved in at ESI London? Mario: With the company’s extensive experience in betting on esports, we are eager to share more on the topic: Data – the key to a successful esports betting product. This knowledge goes beyond the hype that esports is bringing over the last four years, giving a deeper understanding of how to deal with the ever-changing game and tournament rules, team rosters, etc. Giving the right answer to companies willing to integrate esports as a betting option on their brands should be backed up by a serious expertise of how to tackle the everyday challenges that the esports industry experiences. Learn from the data providers on how they look at this ever changing environment and how they tackle the everyday challenges that the esports industry is throwing at them. ESI: Have you attended an ESI event before? Mario: We have been attending ESI events since their first edition! This year we went a step further by deciding to upgrade our presence and become an ESI exhibitor for the first time. We made the next step to reach out to more organisations, clients and partners with a meeting place where our brand will be fully presented as the leading esports betting platform and data provider. ESI: As a speaker and a sponsor, what attracted you to ESI London? Mario: For us, ESI have become key esports focused events to both support and attend. 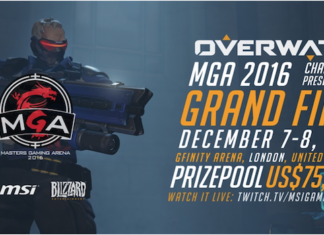 We see how it is evolving and it’s a pleasure to be part of the esports conference and exhibition of the year. ESI: What are you looking forward to most at the event? Mario: We are eager to meet organisations that are willing to get involved in esports betting on a professional level and find a solid ground for further business opportunities for both sides. We also endorse the conference program with up-to-date data we can share with all those interested in making profits out of esports betting. We would also like to welcome all delegates on our booth #D9, from 18th to 20th of September, as well as at the conference panel discussing data on the 20th. ESI: How beneficial are these events and what do you look to take away from them? Mario: It’s always good to meet new and potential partners and exchange fresh ideas with betting in general. I personally find ESI London a perfect place for networking with people interested in esports who also have a strong background in the sector! Mario Ovcharov, UltraPlay CEO, will be speaking at ESI London – the biggest esports conference of the year. The event runs from September 18-20th but it’s not too late to book your tickets – see below!